Pictured, above, whole pineapples are fun as the pins in a game of outdoor ten-pin bowling. Again, add spray paint for extra fun. 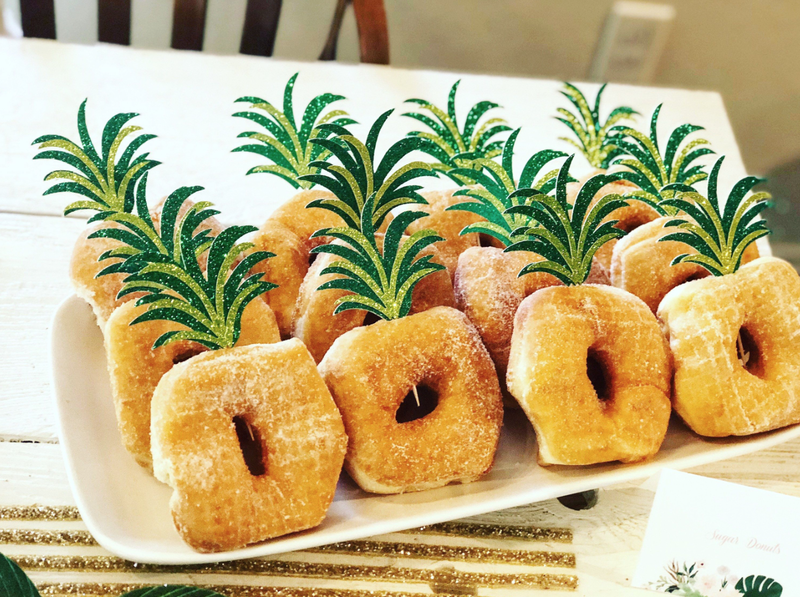 Pictured left, OK, so this idea is not using actual pineapples, but you can make the cutest tropical dessert table goodies with doughnuts and green cardboard – cut it into pineapple spikes and insert into the side of doughnuts. Clever. In the same way, use the spiky end of a real pineapple on top of a yellow-iced cake and you have a pineapple cake! 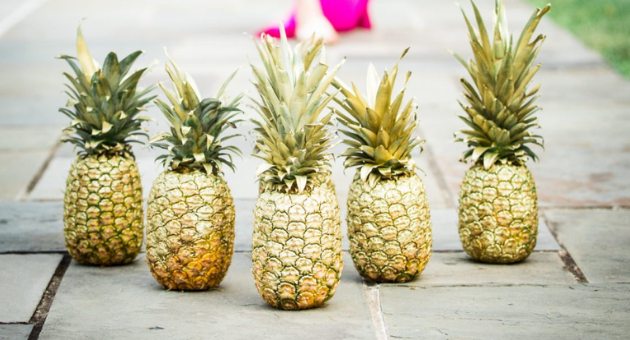 Pineapples can be fun targets on your lawn in an easy game of ring toss for the kids. 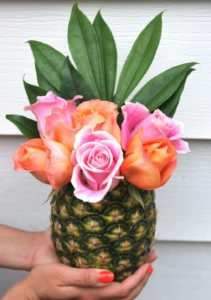 Pictured below, cut off the spiky top, hollow out your pineapple, place a paper cup inside and you have just made the coolest vase for some tropical flowers. 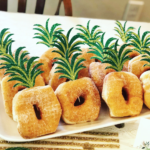 Make sure you buy flat-bottomed pineapples to make this idea work well. Whole pineapples make great table centrepieces. Spray paint them for greater effect – spray painting just the pointy/ leafy end in vibrant colours looks effective.